As we approach Halloween, some of you may look toward cinematography for costume inspiration. With this in mind, we thought you might like to read part two of Home Front Volunteer Miranda Stuart’s story about film maker Clarence Elder. 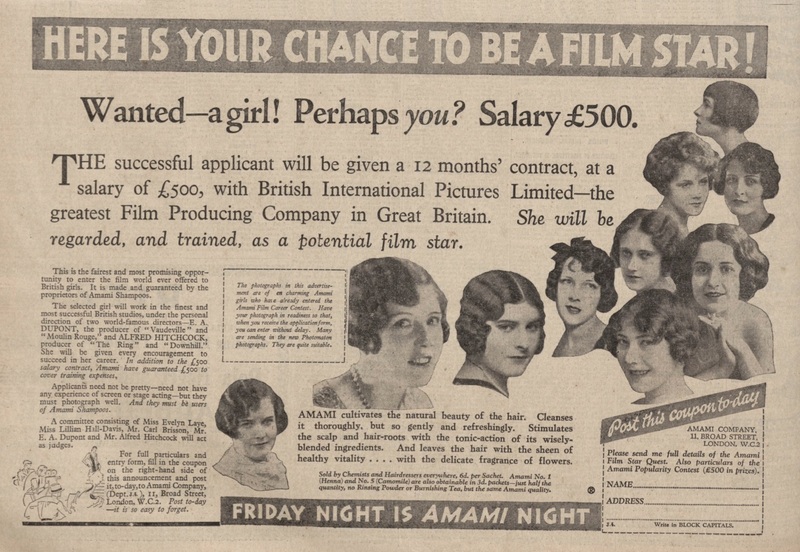 British International Pictures advert for actresses. Image courtesy of The Hitchcock Zone. In the last blog post, I mentioned Clarence Elder’s notorious reputation in the film industry. Some people he worked with recall his habit of ‘donning and artist’s cap and smock when greeting design underlings’, making him ‘an object of ridicule to British designers’. As Laurie Ede, author of British Film Design: A History, notes, ‘this ruse was intended to command respect, but it was futile within a department where art directors were incensed by 18-hour working days, films without scripts and the knowledge that their one responsibility was to do everything they could to keep the camera’s rolling’. In a chapter for The New Film History, Ede sums up the situation at British International Pictures as a ‘chaotic department based upon the exploitation of young design labour’. Edward Carrick, who was one such ‘student’ of Elder’s and who became a designer for film in his own right, provides a slighter different perspective on the chaos and stringent budget, even sardonically hinting at a silver lining. He recalls that ‘Elder tried to teach young art directors how to design pictures to a fixed price – a very low price. This disillusioned many a stout heart but some developed many ingenious ways and means. Provided one did not try to believe in what one did, this was a very good school’. Poster for ‘Blossom Time: A Romance to the Music of Franz Schubert’, 1934. Image courtesy of Network on Air. In terms of Elder’s filmography, The British Film Institute lists Elder as the Art Director or Designer of eighteen films between 1930 and 1937, along with technical roles in three more. 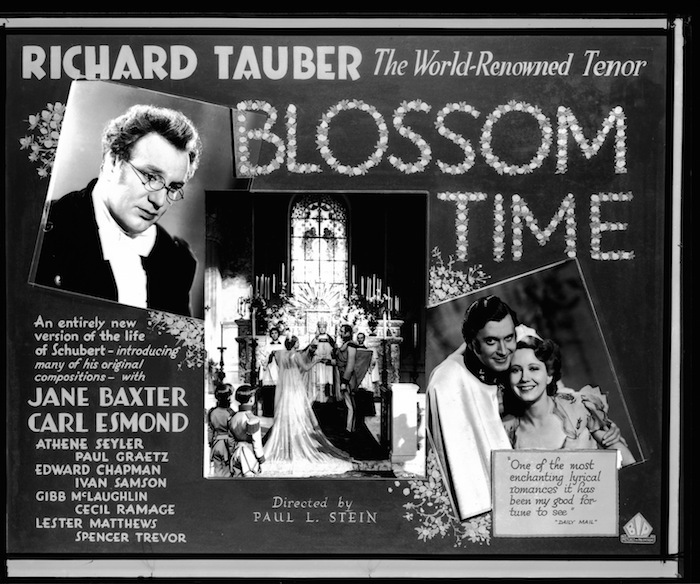 Some titles include ‘The Compulsory Husband’ (1930), ‘Blossom Time: A Romance to the Music of Franz Schubert’ (1934) and ‘The Student’s Romance’ (1935). This was brought to a halt with the outbreak of WWII, during which Elder performed a military version of what appears to be almost the exact same role: working as a ‘camouflage supervisor’. Post-war, Elder made the shift to direction, which would turn out to be short-lived – culminating in a feature-length film The Silver Darlings in 1947, and a short film The Little Singer in 1956. The Silver Darlings is based on Neil M Gunn’s 1941 novel, which is ‘regarded as a masterpiece of Scottish literature’. Elder’s film doesn’t quite have the same reputation. Set in a struggling fishing village in the North East of Scotland during the 1800s, the film follows the fraught romance of a widow, Catrine, and Roddy – against the background of the recent Highland clearances and Royal Navy conscription. The title refers to the herrings caught by the village fishermen. 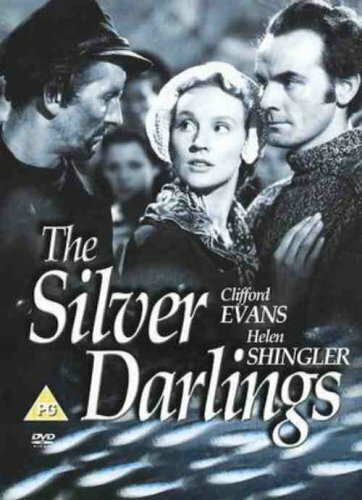 DVD cover for The Silver Darlings. Image courtesy of The Movie Scene. On the back of their 2006 DVD edition, Shipman Productions describe the film as ‘a two-year labour of love’, and ‘a sincere and stirring tribute to the men who forged the Scottish fishing industry with raw courage, determination and vision’. In a review for the Radio Times, however, Allen Eyles acknowledges the film as ‘a labour of love’, but suggests that it is ‘a pity, then, that the location footage not only overwhelms the rather commonplace narrative but is too often back-projected behind actors in the studio. Sorely lacking is the poetic vision of Robert Flaherty’s Man of Aran (1934) or Michael Powell’s The Edge of the World (1937), while Evans’s Welsh accent and leading actress Helen Shingler’s English one are a hindrance to cultivating an authentic tone’.